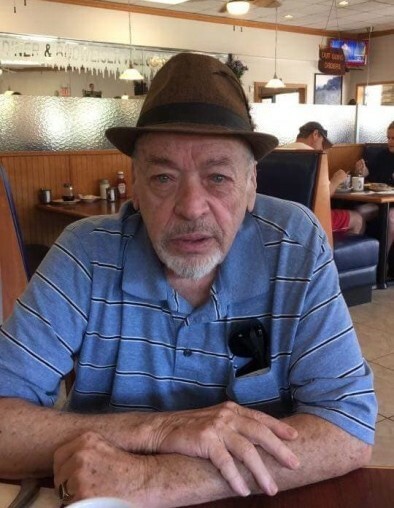 Obituary for George J. Balthazar | Compassionate Funeral Care Inc.
DAVIE, FL – George J. Balthazar, age 78, passed away peacefully on Saturday, September 8, 2018. He was born on July 7, 1940 in Albany, NY, the son of the late George and Caroline Balthazar. George was employed by the Times Union and Retired after 36 years of serving the public. George had an eye for building anything. He also loved the casino or church as he would call it and his dog Sadie was the love of his life. Buddy’s memory lives on through his sister, Carol Faragon; His daughter, Lisa (Gary) Miltner; his sons, Kenneth (Robin) Balthazar and Mark Balthazar; seven grandchildren, and many cousins and friends. He is preceded in death by his son, Eric Balthazar and grandson Jake Balthazar. In lieu of flowers, donations can be made to Compassionate Funeral Care to help the family with the funeral expenses. A celebration service will be at 6 pm on Friday, September 14, 2018 at Compassionate Funeral Care, 402 Maple Ave. (Rte 9 and/or Marion Ave.), Saratoga Springs, NY. Where family and friends may call from 4 pm to 5:45 pm at the funeral home prior to the service.